You are purchasing a wholesale lot of assorted hair accessories. This lot contains 50 pieces (sets are counted as only ONE). 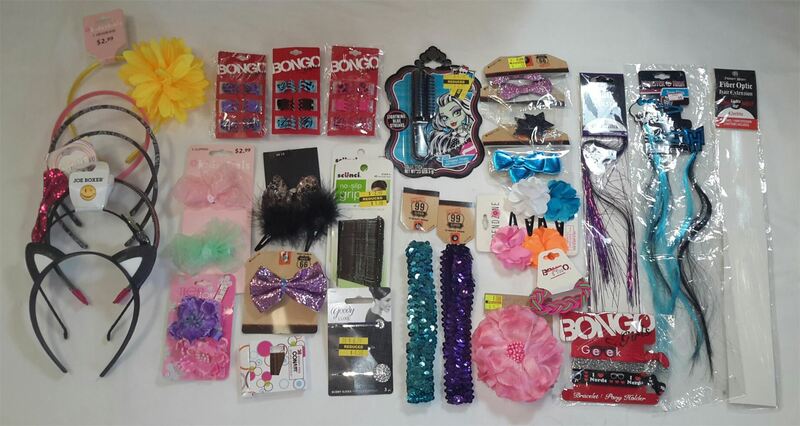 This lot contains a mixture of Headbands, Scrunchies, Ribbons, Bows, and More. Brands that are included are a mixture of: Piper. Scunci, Bongo, Trend Zone, and More. Please see original images for the assortment of items included in this lot. Click the button below to add the Wholesale Lot of Assorted Hair Accessories, Brand Name, NEW 50 PCS to your wish list.